'She had felt as if her heart were hiding down there, somewhere, with the quail and the plover and all the little wild things that crooned or buzzed in the sun...' A rapturous work of savage beauty, Willa Cather's 1913 tale of a pioneer woman who tames the wild, hostile lands of the Nebraskan prairie is also the story of what it means to be American. A new series of twenty distinctive, unforgettable Penguin Classics in a beautiful new design and pocket-sized format, with coloured jackets echoing Penguin's original covers. Willa Cather was born in Virginia in 1873 and moved to Nebraska, with its wide open plains and immigrant farming communities, at the age of nine. This landscape would deeply affect her later writing. She attended university and became a journalist and teacher in Pittsburgh, and then a magazine editor in New York. 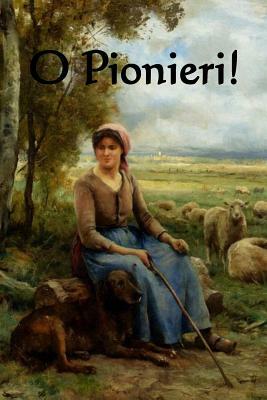 Her first major novel, O Pioneers!, appeared in 1913, and was followed by two more in her prairie trilogy: The Song of the Lark and My Antonia. She lived with the editor Edith Lewis for thirty-nine years until her death in 1947."